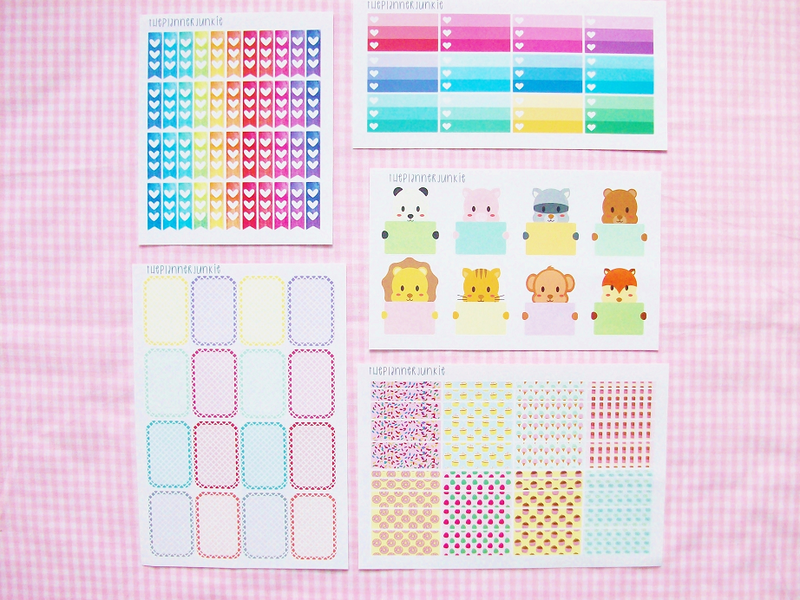 This is my third sticker haul in the past month and it's still not over! This whole month I've been obsessed with sticker and stationary supplies, I am literally obsessed! I still have a lot more stickers from various Etsy shops coming in, I haven't even ordered autumn and Halloween stickers yet! I am trying to space these posts out so that you non-planner people won't get annoyed. However, if I do post too many stationary posts please let me know! 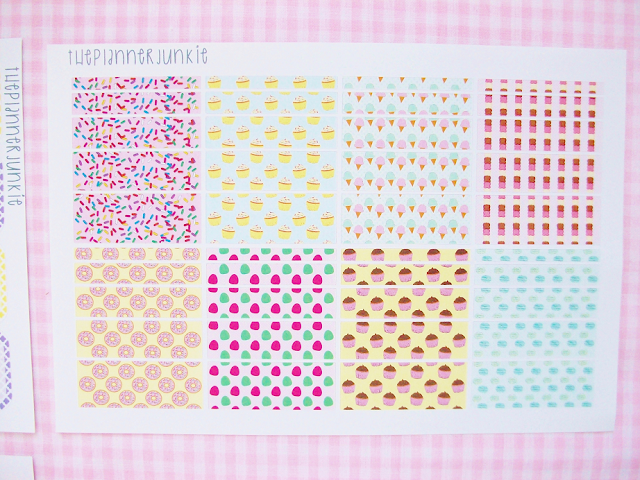 Today's stickers are from the popular sticker seller, The Planner Junkie Inc. This was my first order I placed back when I started getting into stickers. It took three weeks (almost four) for my stickers to arrive. I thought since The Planner Junkie is based in Florida that they would get to me sooner (I live in Georgia), but that wasn't the case at all! Looking back at it now, I wish I didn't place this order to begin with. The stickers aren't anything special, I mean I can find similar stickers from other sellers on Etsy (some that ship sooner). But since I heard so much talk about this shop I went ahead and placed my order. Since they took forever to arrive that kind of threw me off. 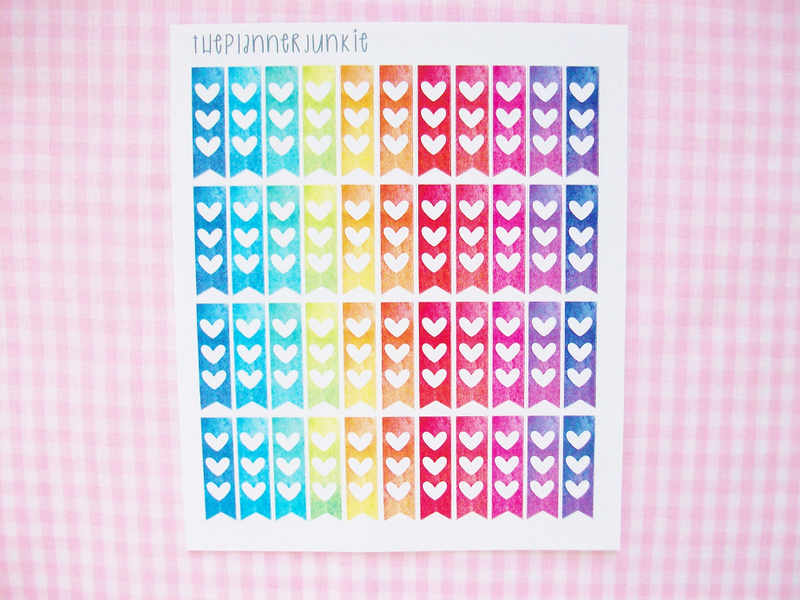 I probably won't purchase again from The Planner Junkie but I will show you what I ordered. 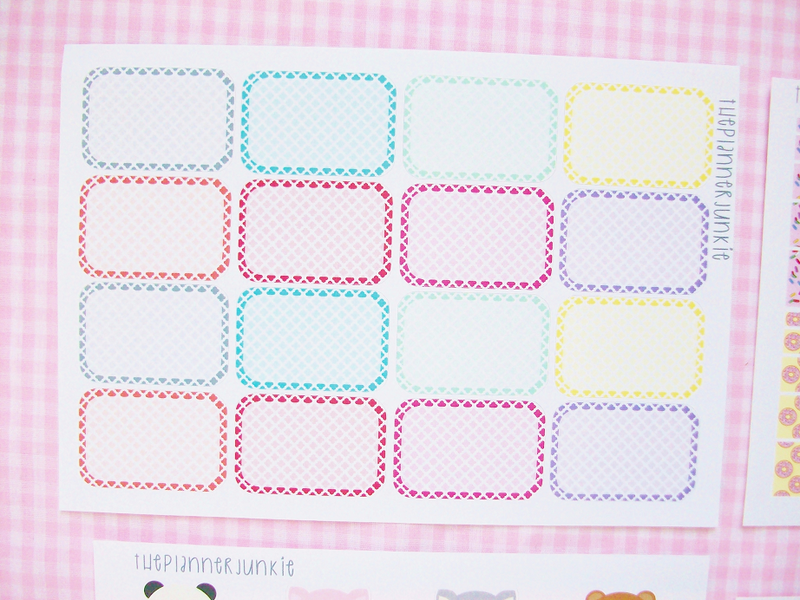 I wanted some pastel half boxes so that I can place stickers and write down my tasks over them. I was kind of worried that these stickers wouldn't be that pastel in person, but they actually are so I'm happy! 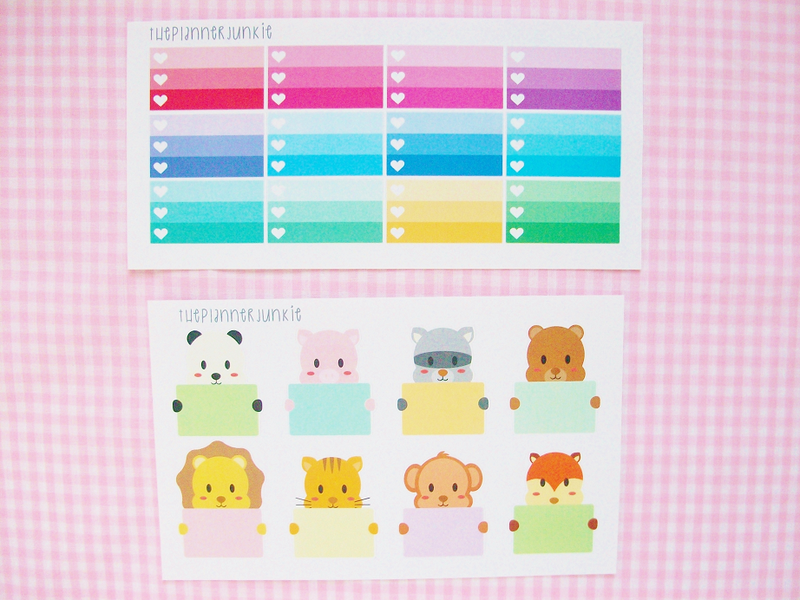 The main reason I placed my order with The Planner Junkie is because of this sweet washi strip stickers. There are sprinkles, cupcakes, donut, ice cream and more dessert print washi stickers. So sweet! Ombre check boxes with three rows with check-off hearts. I also got these animals holding cards stickers, which are very cute! More heart checklist flags! This is my third sheet of checklist stickers from a different shop. These are watercolor, which I like because it adds texture. Lastly, I received this gold foil mini sticker freebie. I'm not a huge fan of gold so I might not use these. But it's still nice to have it in my collection though. 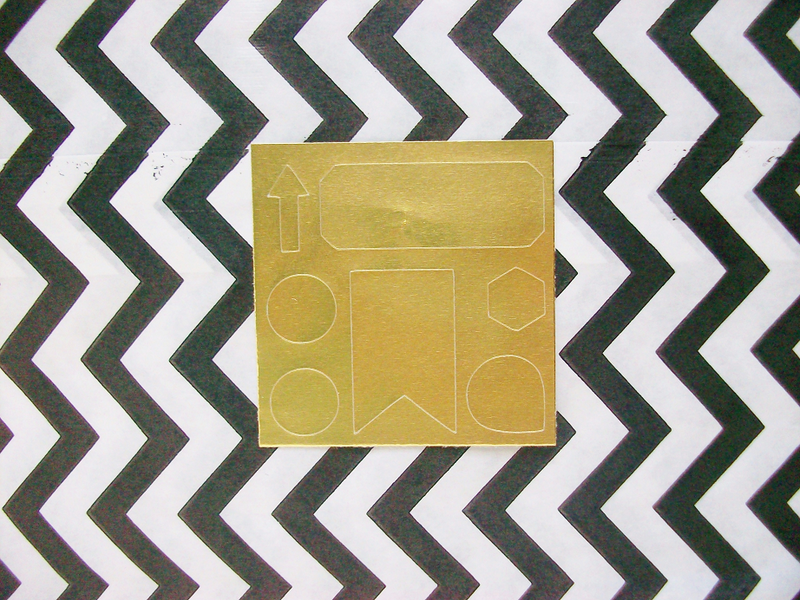 You never know when someone might need gold stickers. 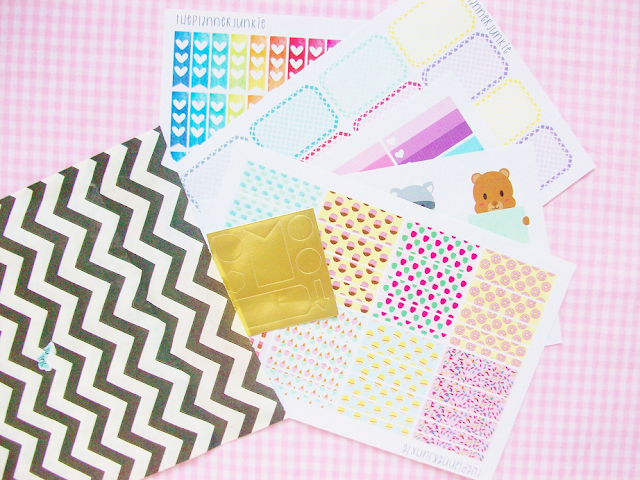 What's your favorite Etsy sticker shop? 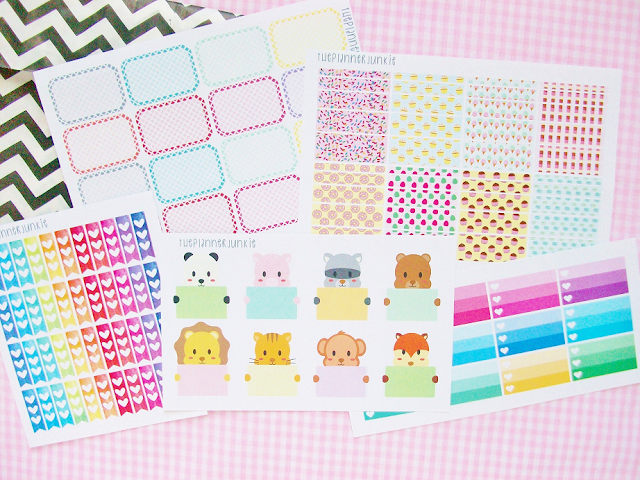 Those animal stickers are beyond adorable!